If, like some of us, you've been tearing through The Last of Us over the weekend, it might not just be the infected hoardes you've been unable to shake - there's a distinct feeling that we've seen the protagonist's companion Ellie somewhere before. That's because she appears to be the spitting image of Canadian actress Ellen Page. And yesterday during a Reddit AMA (Ask me anything) session Page told fans that she was very much aware of the similarities, and was less than pleased about it. 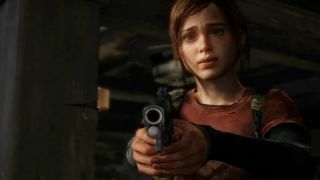 Especially as she's appearing in another upcoming PS3 exclusive, Beyond: Two Souls. "I guess I should be flattered that they ripped off my likeness, but I am actually acting in a video game called Beyond: Two Souls, so it was not appreciated," she wrote. Burn.